Need another reason to ditch Round Up chemicals, including its main ingredient, glyphosate? If you’ve got milk, then more than likely you’ve got a cow with a disturbed metabolism caused by Monsanto’s best-selling chemical brew. If glyphosate being linked to cancer isn’t a profound enough reason to stop eating GMOs, then what about possibly having your own metabolism disturbed? We are what we eat, as the saying goes, so if a dairy cow can’t process glyphosate properly, then you can bet we likely don’t either. Why should this matter to you? Your endocrine system is a system of glands that secrete important hormones in our body – without which NOTHING else can function properly. I won’t even go into the function of the endocrine glands like the thymus and pineal gland, which are important for developing a less restricted consciousness. But glyphosate assaults your body in many ways you can likely only begin to imagine. There’s no mistake you are being infected with glyphosate toxins either. Glyphosate has been found in mother’s breast milk and in our blood. Now that it is measured in detail in dairy cow urine and the toxic effects are detailed – will Monsanto still act as if they are creating a benign substance? Certainly. Avoid consumption of GMO foods. They are copiously contaminated with glyphosate. Since glyphosate decreases our body’s ability to detox on its own, be sure to detox on a daily and weekly basis using nutrients as well as other modalities such as sitz baths, Bentonite clay, and more. Who better to speak the truth about the risks posed by genetically modified (GM) foods than Thierry Vrain, a former research scientist for Agriculture Canada? It was Vrain’s job to address public groups and reassure them that GM crops and food were safe, a task he did with considerable knowledge and passion. 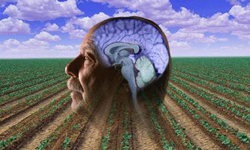 But Vrain, who once touted GM crops as a technological advancement indicative of sound science and progress, has since started to acknowledge the steady flow of research coming from prestigious labs and published in high-impact journals – research showing that there is significant reason for concern about GM crops – and he has now changed his position. “There are no long-term feeding studies performed in these countries [US and Canada] to demonstrate the claims that engineered corn and soya are safe. All we have are scientific studies out of Europe and Russia, showing that rats fed engineered food die prematurely. This misunderstanding is the “one gene, one protein” hypothesis from 70 years ago, which stated that each gene codes for a single protein. However, the Human Genome project completed in 2002 failed dramatically to identify one gene for every one protein in the human body, forcing researchers to look to epigenetic factors — namely, “factors beyond the control of the gene” – to explain how organisms are formed, and how they work. “Genetic engineering is 40 years old. It is based on the naive understanding of the genome based on the One Gene – one protein hypothesis of 70 years ago, that each gene codes for a single protein. The Human Genome project completed in 2002 showed that this hypothesis is wrong. In other words, genetic engineering is based on an extremely oversimplified model that suggests that by taking out or adding one or several genes, you can create a particular effect or result. But this premise, which GMO expert Dr. Philip Bereano calls “the Lego model,” is not correct. You cannot simply take out a yellow piece and put in a green piece and call the structure identical because there are complex interactions that are still going to take place and be altered, even if the initial structure still stands. Genes don’t function in a vacuum — they act in the context of the entire genome. Whole sets of genes are turned on and off in order to arrive at a particular organism, and the entire orchestration is an activated genome. It’s a dangerous mistake to assume a gene’s traits are expressed properly, regardless of where they’re inserted. The safety of GM food is based only on a hypothesis, and this hypothesis is already being proven wrong. Vrain cites the compelling report “GMO Myths and Truths” as just one of many scientific examples disputing the claims of the biotech industry that GM crops yield better and more nutritious food, save on the use of pesticides, have no environmental impact whatsoever and are perfectly safe to eat. The authors took a science-based approach to evaluating the available research, arriving at the conclusion that most of the scientific evidence regarding safety and increased yield potential do not at all support the claims. In fact, the evidence demonstrates the claims for genetically engineered foods are not just wildly overblown – they simply aren’t true. Industry-funded research predictably affects the outcome of the trial. This has been verified by dozens of scientific reviews comparing funding with the findings of the study. When industry funds the research, it’s virtually guaranteed to be positive. Therefore, independent studies must be done to replicate and thus verify results. The longest industry-funded animal feeding study was 90 days, which recent research has confirmed is FAR too short. In the world’s first independently funded lifetime feeding study, massive health problems set in during and after the 13th month, including organ damage and cancer. “Calorie and nutritional information were not always required on food labels. But since 1990 it has been required and most consumers use this information every day. Country-of-origin labeling wasn’t required until 2002. The trans fat content of foods didn’t have to be labeled until 2006. Now, all of these labeling requirements are accepted as important for consumers. The Food and Drug Administration (FDA) also says we must know with labeling if our orange juice is from fresh oranges or frozen concentrate. Doesn’t it make sense that genetically engineered foods containing experimental viral, bacterial, insect, plant or animal genes should be labeled, too? 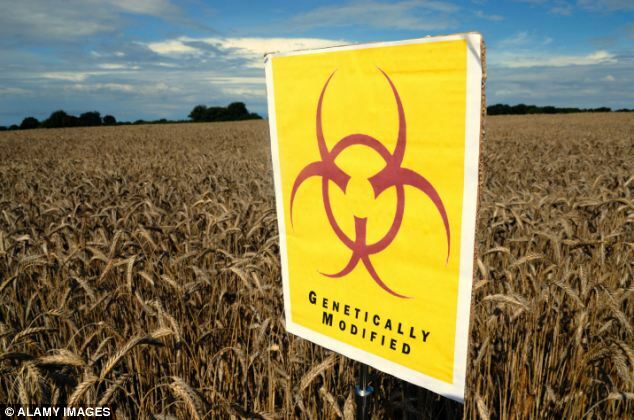 Genetically engineered foods do not have to be tested for safety before entering the market. No long-term human feeding studies have been done. The research we have is raising serious questions about the impact to human health and the environment. Remember, as with CA Prop. 37, they need support of people like YOU to succeed. Prop. 37 failed with a very narrow margin simply because we didn’t have the funds to counter the massive ad campaigns created by the No on 37 camp, led by Monsanto and other major food companies. 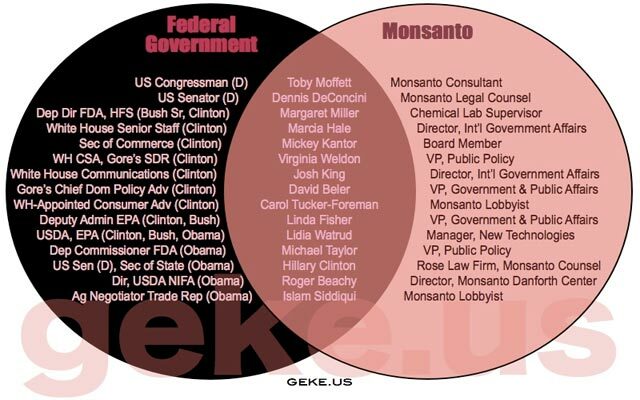 Let’s not allow Monsanto and its allies to confuse and mislead the people of Washington and Vermont as they did in California. So please, I urge you to get involved and help in any way you can, regardless of what state you live in. If you live in Washington State, please sign the I-522 petition. You can also volunteer to help gather signatures across the state.